Located on the eastern edge of the North China Plain and in the lower reaches of the Yellow River, Shandong extends out to sea as the Shandong Peninsula. Shandong borders the Bohai Sea to the north, Hebei to the northwest, Henan to the west, Jiangsu to the south, and the Yellow Sea to the southeast; it also shares a very short border with Anhui, between Henan and Jiangsu. With a pleasant location, Shandong enjoys good development conditions. Seeing favorable climate, its agricultural products bring it further out of its own land. Coastal location brings it fresh and good seafood. 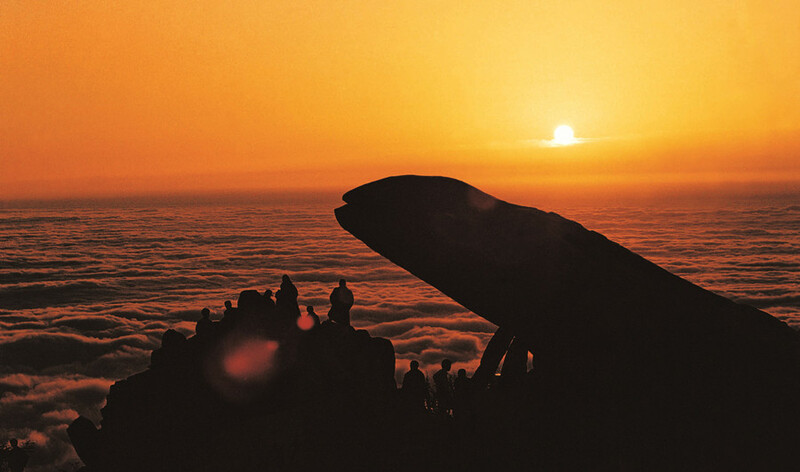 Amazing tourist destinations and profound culture attracts visitors from home and abroad. 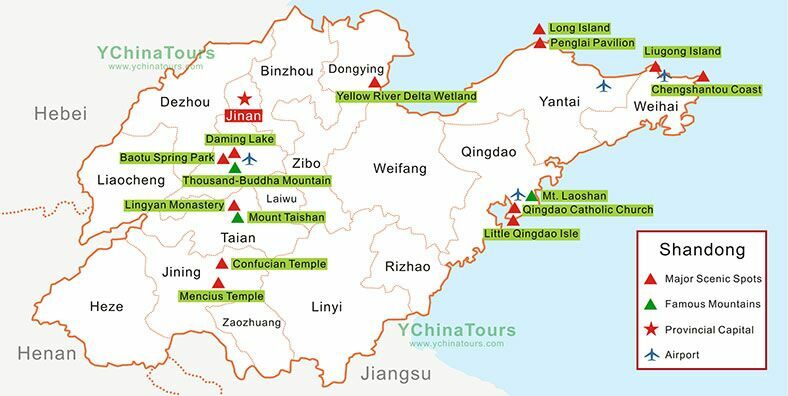 As a popular tourist destination in China, Shandong would be brought further in the future. 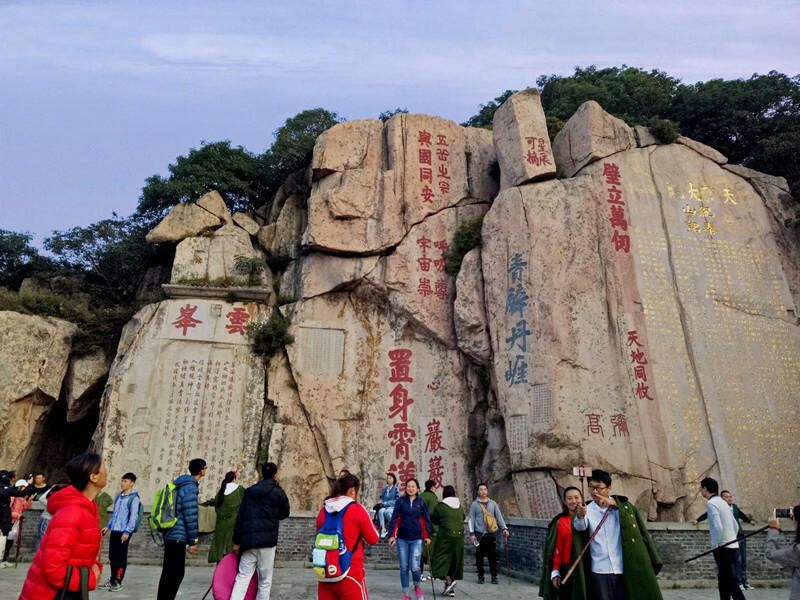 Mount Tai: Renowned as a World Natural and Cultural Heritage Site, Global Geopark, Chinese National 5-A tourist attraction, national relic protection unit, state-level scenic spot and national civilized scenic site, Mount Tai is a splendid tourist destination. 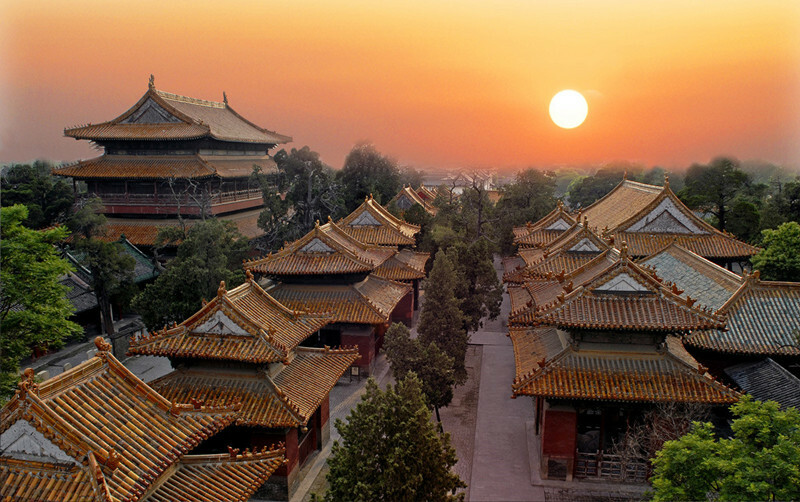 Hometown of Confucius: Confucius’s hometown is Qufu which belongs to Jining county of Shandong province. 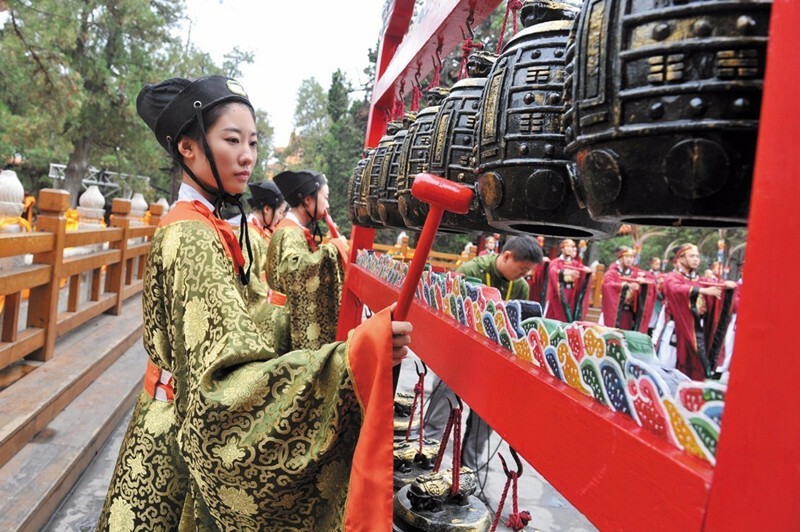 It plays a quite important role in Shandong’s culture and tourism. 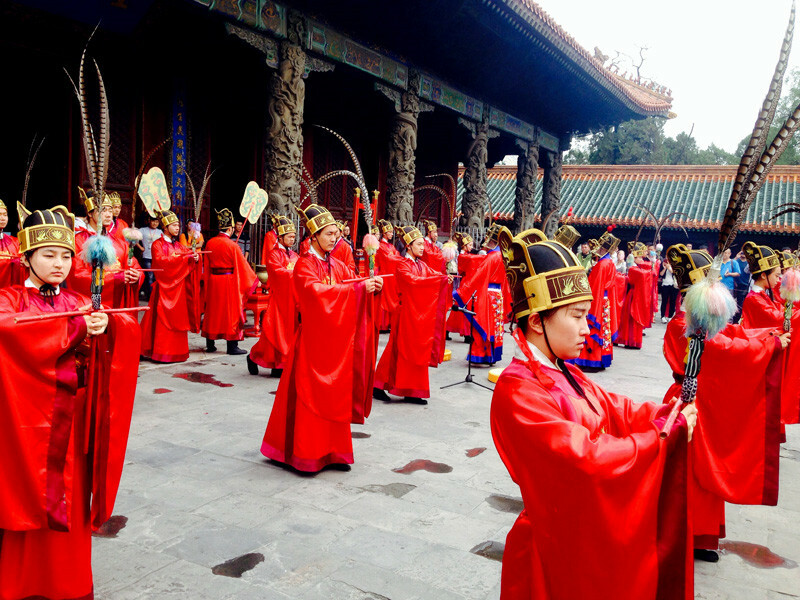 Qilu Culture: It is a regional culture in Shandong including Taoist culture, Legalism culture, Master Sun’s military culture, Mohist culture, the Yin and Yang philosophy, etc. The core culture is the Confucian culture. 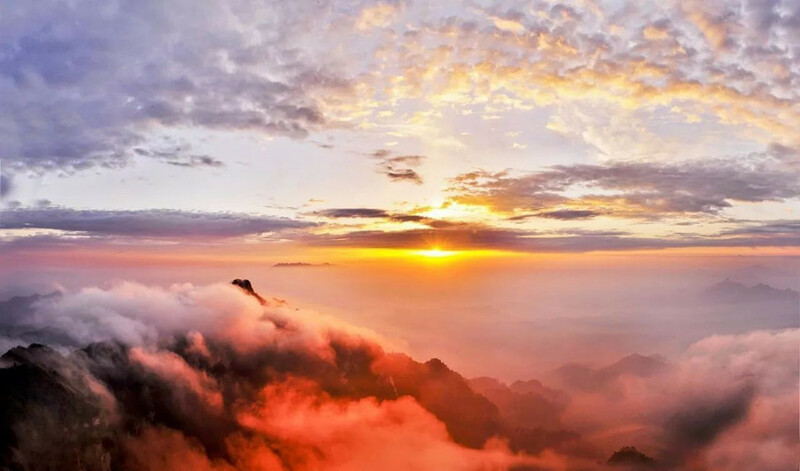 Amazing Sceneries: Shandong boasts lots of attractive tourist spots in China like Mount Tai, Spouting Spring, the Three Memorial Edifices of Confucius in Qufu, Liugong Island, Longkou South Mountain Scenic Spot, etc. Lu Cuisine: Shandong is the birthplace of Lu cuisine which is one of the eight major components of Chinese cuisine. Seafood: As a coastal province, Shandong enjoys fresh and high-quality seafood. You could eat a variety of seafood here.